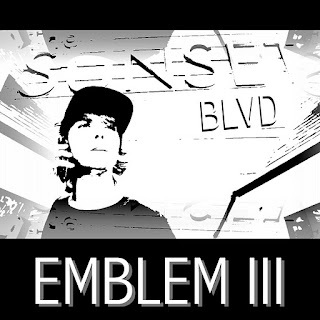 Three childhood friends + a saxophone + percussion = Emblem3. In order, Drew, Wesley, and Keaton go way back while Kyle and Kenny are recently new members of the band adding the missing pieces that now make up Emblem3’s distinct sound. I was given the go ahead to find a band, who was up for an award, that appealed to me – these guys are it. Sure there have been bands with a similar sound in the past but these guys do it right. Their hooks are perfect especially in their song “Sunset Blvd” that I’ve been humming for the past couple weeks. 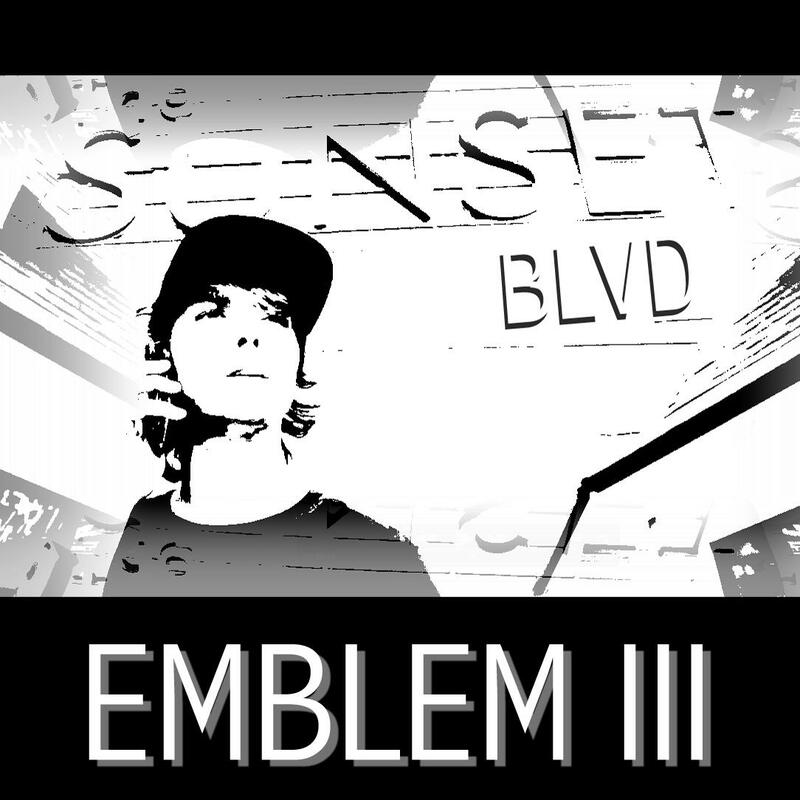 Coming off a fresh win at the Orange County Battle of the Bands, Emblem3 looks to walk away with at least one award (they’re nominated in two categories) at the 2012 Artists In Music Awards. Two nominations, "Best Rock Artist" and "Best Alternative Artist" at the 2012 Artists In Music Awards, tell us how you feel about that? Honestly, We’re super stoked to be a part of all this and happy that people enjoy our new sound enough to nominate us. It’s basically a dream come true! Our first show we played together as Emblem3, we won the Orange County Battle of the Bands at the Block in Orange. It was such a sick experience! A website called ReverbNation has been super beneficial in providing opportunities for New artists like whom! We believe in our art and we feel very confident about it! We know one for sure, which is "Sunset Blvd!" Odds are we’ll end up playing ‘rock, paper, scissors’ to figure what other song to play! We’re constantly writing new music so it’s impossible to choose, [we] wish we could play more! Yes we’ve checked them out! We feel super happy to have such a unique, distinct, positive sound that we believe sets us apart from all other nominees. How did "Emblem" come to be, the band and the name? Drew Chadwick (Hip-Hop vocals & lead guitar), Wesley Stromberg (Vocals and rhythm Guitar) and Keaton Stromberg (vocals & Bass), have been in band since we were 13, 11 & 9 so it’s been awhile for us. Very recently our destiny’s intertwined with Kenny Galbraith (Percussion) & Kyle Miner (Saxophone) who hugely participate in [our unique] sound. As for the band name, we had gone through trillions of different names and it finally got to the point of "alright seriously, this is getting ridiculous now." So we had a little gathering and decided that we needed a name that was some kind of emblem to describe who we are. Now, as versatile artists, we couldn't put our fingers on such a label except for the word emblem. 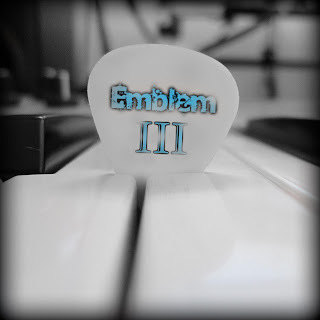 Thus, the one word that came to be was Emblem3. It’s a symbol that can rep any and everything! We threw the three on because at that point in time there were only three core members! Whew! None so far but thanks to the grand prize of the O.C comp, we have a couple free recording sessions at Westlake studios. We’ll have our first E.P out soon enough for everybody to bump in their cars. Why not! It’s another chance to play music and make people happy! That’s what we musicians live to do! Sharing our music with appreciative fans that love the beauty of art and shares the same passion for sound that we have! Also, to boost our following and create potential career opportunities in the music industry! These guys definitely have what it takes! Talent, heart, soul, drive and the look! I see HUGE things coming in their future!!! So happy to read articles & hear all the new music! Keep it up guys! Ride this one all the way up!!! !